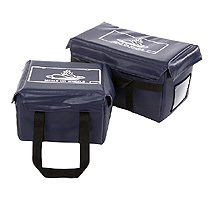 Our Meals on Wheels food delivery bags are sturdy bags that make delivering prepared meals easy and comfortable. This firm-sided, flat-bottomed bag is ideal to deliver prepared meals while keeping the food hot, cold or frozen for a long period of time. This insulated bag has been designed with optional adjustable rigid dividers to separate foods and provide shelving for stacking purposes. The heavy-duty vinyl exterior is easy to wash and durable enough to tolerate the harsh handling encountered in the meal delivery service. With the sturdy wrap around nylon webbing handles, the weight of the bag is evenly distributed thus reducing strain and making deliveries easy and hassle free. The option of wrap around handles makes food delivery more comfortable. Customise your Meals on Wheels bag by choosing the colour of your meal delivery bag, and personalizing your bag with your company logo. About Pro Bags We serve North America’s most successful businesses by consistently making quality, innovative, customized Meals On Wheels insulated food delivery bags. 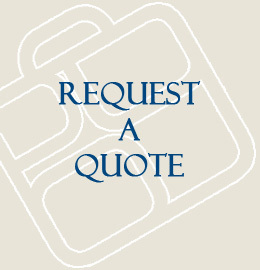 We provide exceptional personalized customer service and take pride in meeting your needs. Our designers will custom design the style of Meals On Wheels insulated food delivery bags you require. Contact the professional custom bag products specialists that you can trust for high quality timely deliveries. Click on the Meals On Wheels Delivery Bags for a detailed view. 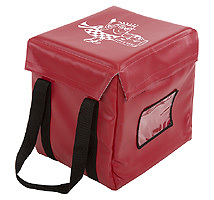 The Meals on Wheels bags are available in a variety of sizes. Dimensions in the tables below are described as L x W x H.
For Artwork there is a one-time charge for creating the screen. There is a one-year warranty on all Meals on Wheels bags. The warranty includes material and workmanship. The warranty does not cover wear from misuse and inappropriate care.